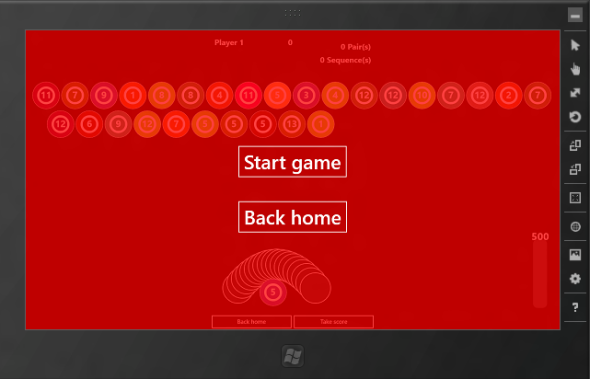 The original Windows Phone application is a Silverlight game called Touch’n’Match. This game is available in the marketplace for free. The goal is to select appropriate items from a board creating pairs or sequences. The fastest the player creates pairs, the more points he has. I’m not creating a common code base across the 2 platforms. 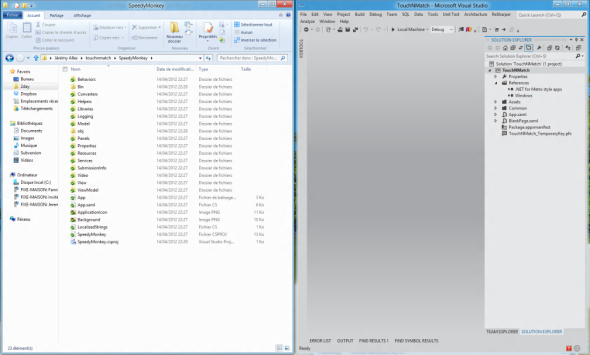 I’m just “converting” the Silverlight version to WinRT. I’m going to start porting all the C# which is not linked to XAML. 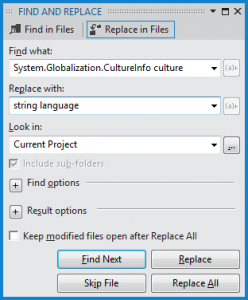 I expect to do that fairly quickly, the only thing I will have to rewrite (at least I think about at this time) is the part which deals with the isolated storage (API in SL for Windows Phone and WinRT are very different even though the principles are very similar). 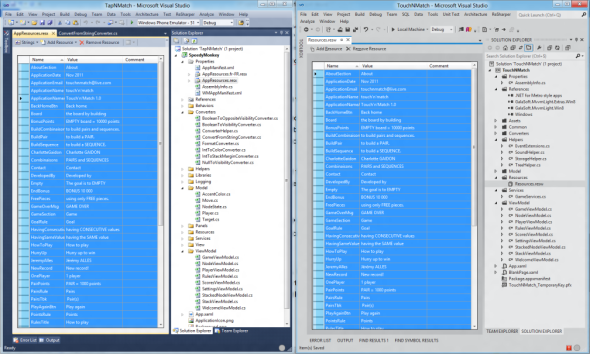 I’m simply using drag’n’drop between the Windows Explorer and VS11 to add the files in the WinRT project. 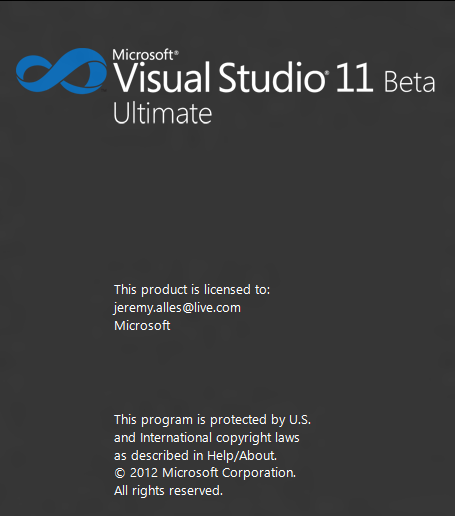 The Windows Phone version contains a class named ThemeService. 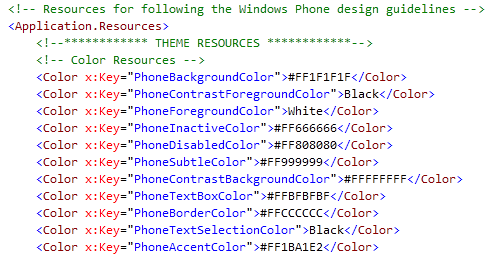 This class was responsible for giving colors to use in the app based on the current accent color of the phone. 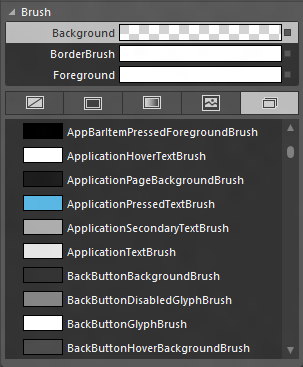 In WinRT we don’t have the concept of accent colors. The app is supposed to ship with its own accent color. So I’m removing this part entirely for the moment. I then encountered an error with a call to ToShortDateTimeString() on a DateTime object. I replaced this call with ToString(“d”) which is supposed to do the same thing. It looks like all formatting and parsing of DateTime structure is now handle by the DateTimeFormatter class. 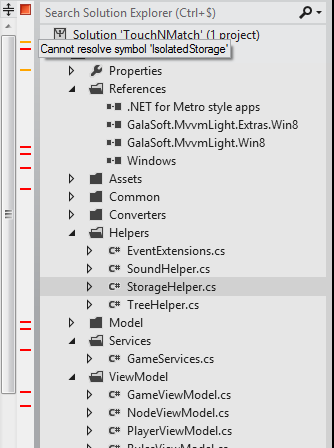 Also, the EasingFunction property of the DoubleAnimation type has changed from IEasingFunction (Silverlight) to EasingFunctionBase (WinRT). 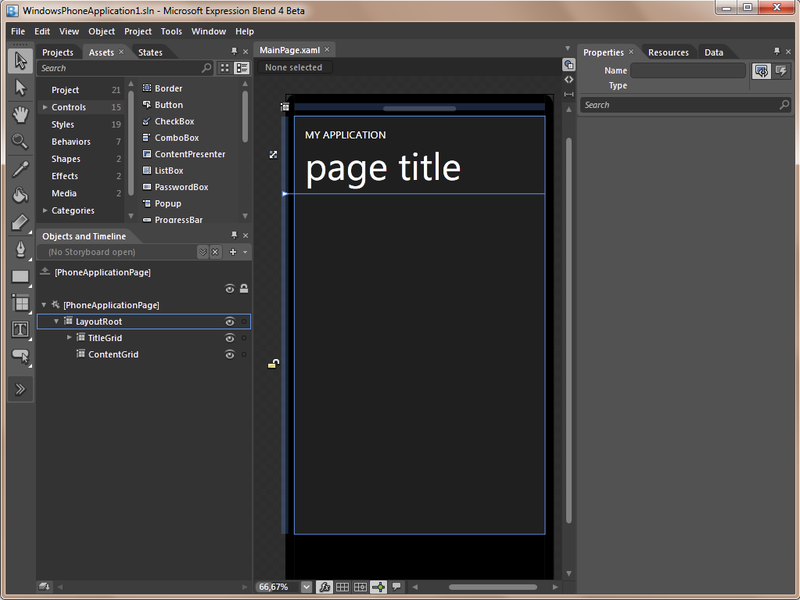 The home page of the WP7 version was using a pivot control. I don’t need a pivot and I can display everything on the screen at once. 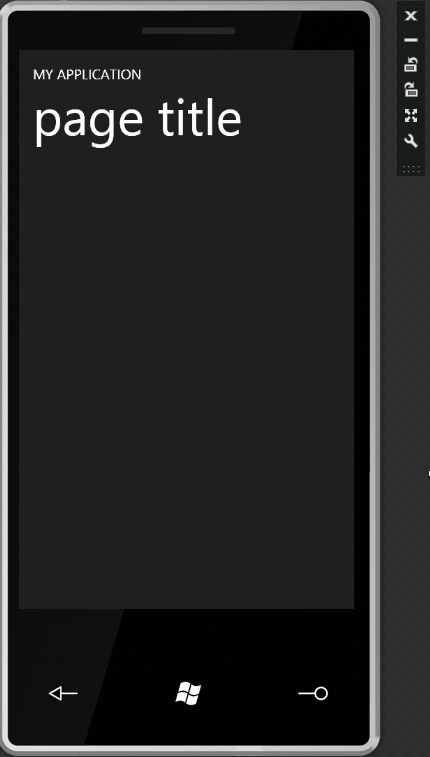 So I’m just replacing the PivotControl with a grid of 3 columns. 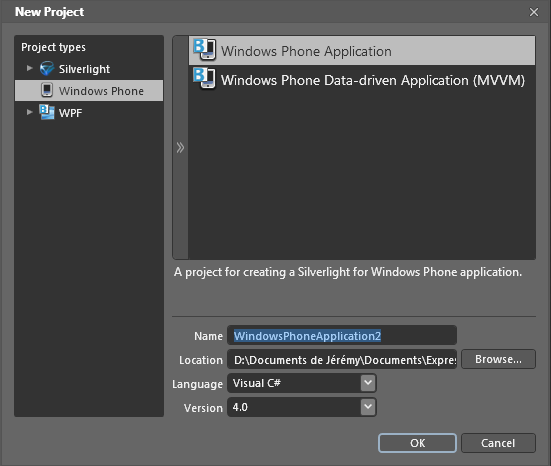 The Silverlight game was created with the Windows Phone 7.0 SDK, based on Silverlight 3. At this time there was no Command property available on a Button. This is no longer the case and of course neither the case in WinRT. So I can already fix a lot of them. I looked up on the Internet but I cannot find the source of this issue. The most interesting thread is this one on MSDN forums… but it does not fix my issue. I’m back. 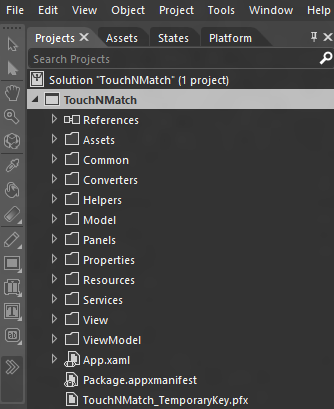 Even though I was able to launch the app before the break it was not yet functional… I commented a lot of things in the XAML just to make it build. 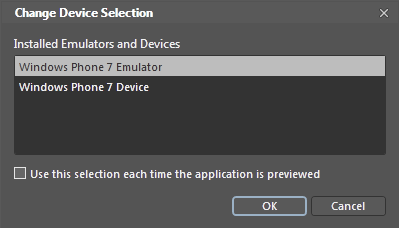 In particular, I know must solve the an issue with sound playback: the WP7 was using an TriggerAction to play a sound. 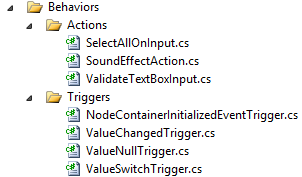 This TriggerAction was used directly in the XAML to play sound when a button was click for example. The idea is described previously is supposed to work… but it doesn’t! I think it’s all for today. I can now launch the app and play the game it was my original objective ! 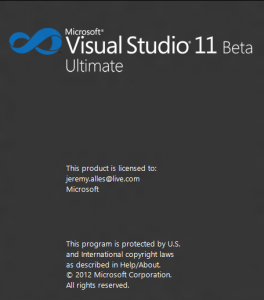 First of all, I’m kind of happy I finally had the occasion to jump into the WinRT world. Porting this app was a very interesting experience even though I must admit I was kind of angry sometimes! 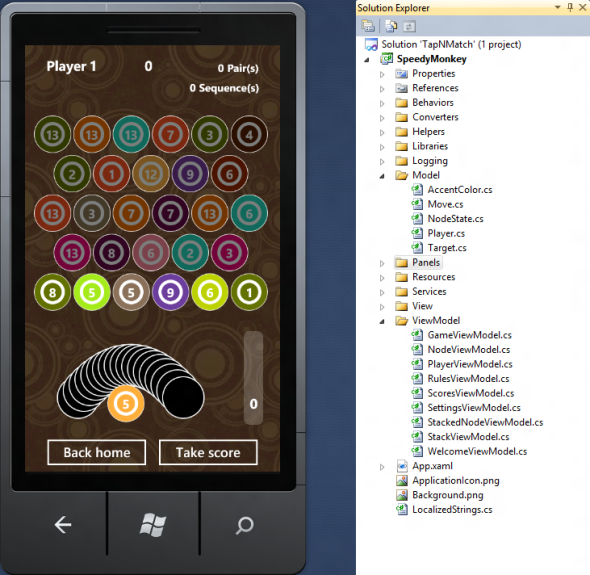 I was able to reuse most of the XAML, but I think this is true because the app was a game. I have another app I’m thinking to port in WinRT and I think it will need a major rewrite of its UI to leverage the size of the screen. I hope your learnt interesting things in this post. Feel free to let a comment if you have any specific question. 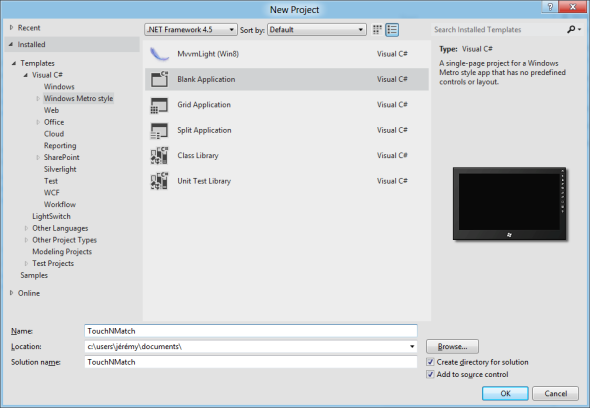 You’ll need not more than a couple of minutes to download and install all the tools needed to create your first Windows Phone application using Blend. 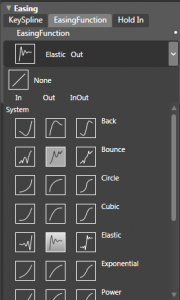 First look at Expression Blend 3 ! 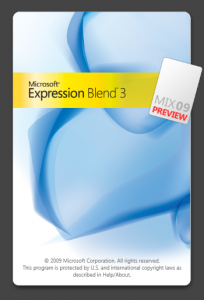 The keynote at MIX09 is almost over and Expression Blend 3 has been announced ! 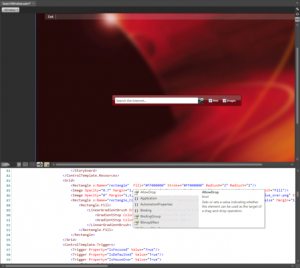 Go ahead and grab this new version from the Microsoft Expression web site. 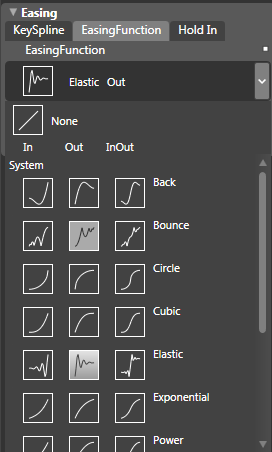 Import from Photoshot and Illustrator functionality ! 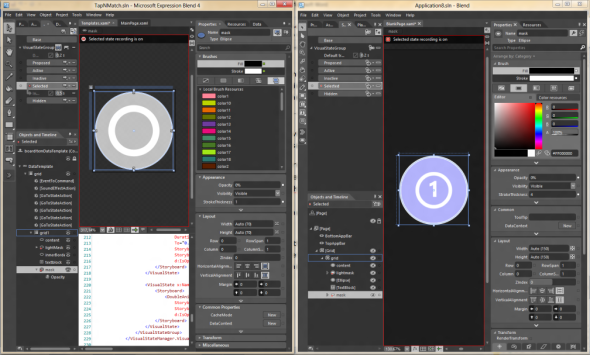 New extensibility points to the Editor: custom adorners, custom panels, extend property grid, etc. Here are some screenshots I just took running the preview on my machine. 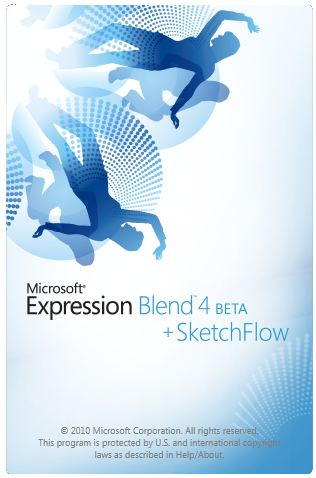 I think Blend3 is going a major step forward in the Expression Studio 3. Don’t wait a second to play with it !